At one time or another we all have taken printing for granted. Perhaps because print has been the world’s number on communication medium for so long, we tend to overlook its impact and power. That oversight could be detrimental to the success of a marketing campaign, a product launch or a branding initiative trying to make connections. 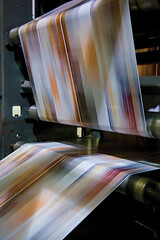 Consumers trust print, feel comfortable using it and are unable to fast forward past it. Electronic content comes and goes and when it’s gone, your message disappears with it. Print, on the other hand, is there for the long run. Printable technologies case study on Prisma Graphic and Dokshop. 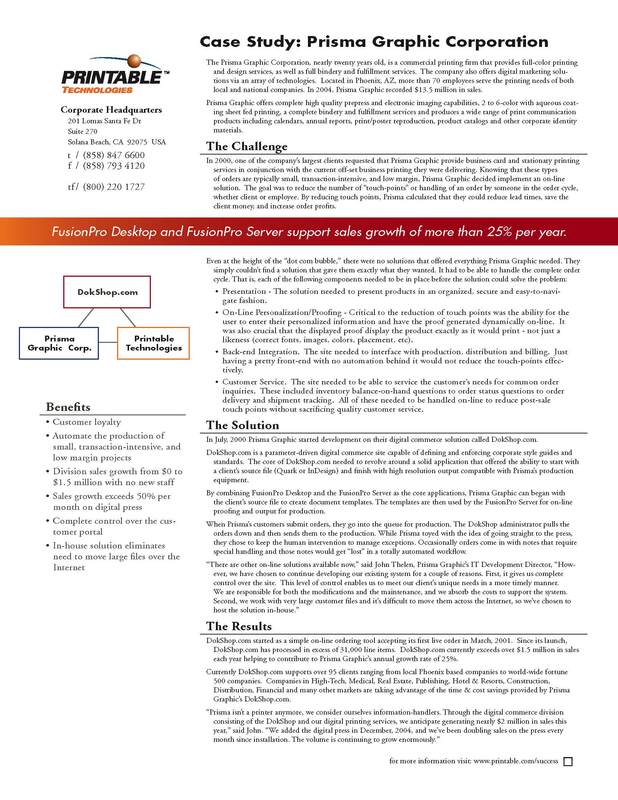 Printable technologies recently wrote case study on Prisma Graphic and Dokshop. 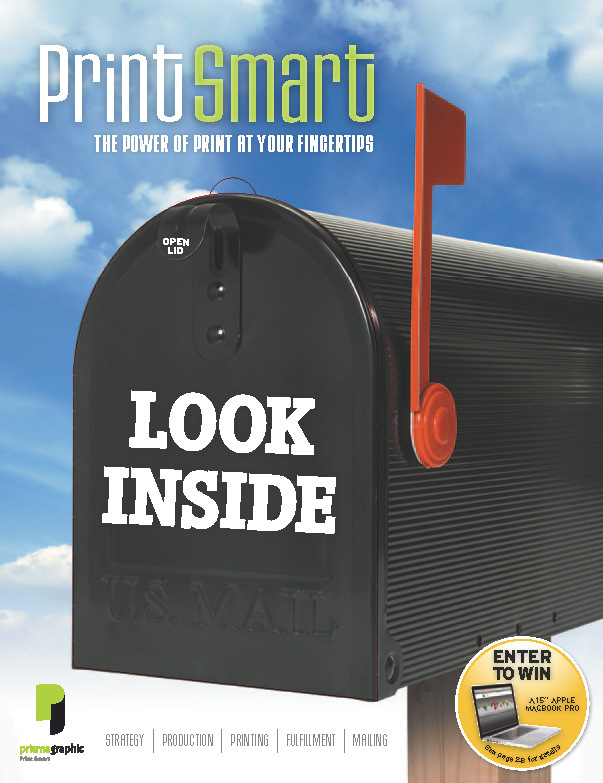 Prisma Graphic provides print smart marketing solutions. There are all kinds of sales people, all kinds of buyers and endless bargaining options. Selling a product or service based on price alone is one approach. Being able to earn a long-term business relationship as a trusted solutions provider, however, is something completely unto itself. Our ability to sell marketing solutions and secure business with some of the largest and most reputable companies in the world goes well beyond a passion for print and seasoned industry knowledge. The Prisma sales team has redefined the rapport between a printer and its buyers by focusing on one key element. Trust. That ideology is just a part of our Print Smart philosophy. From the initial contact, to the delivery and success of each project, we ensure our clients are satisfied throughout the entire production process. We understand partnerships and strive to offer a wide selection of solutions and programs that exceed our clients’ expectations. Call one of our Prisma’s Sales Representatives today to learn more about what it really means to Print Smart (800 379-5777).